The Adam Sandler song (or maybe the Neil Diamond cover) may be many Christians’ only exposure to the holiday. We know it’s eight days long, and we know that some candles are lit—and that’s about it. Oh, right—it’s Jewish. We know that. Chanukkah is a Jewish holiday. It’s kind of like, we think, some kind of Jewish substitute for Christmas. They saw all the fun we were having every winter and came up with something a little different that they could do, too. So we imagine them putting Chanukkah presents under the menorah, or maybe a Chanukkah bush of some kind. And just to punch it up a little bit, they made it eight times longer. Meanwhile, every winter we’re cozily celebrating what most Christians feel is the real holiday, the anniversary of Christ’s birth. We don’t want to hear “Happy Holidays”; it’s Merry Christmas. Chanukkah is not really on our radar. Well, maybe it should be. After all, none of us would be here without Chanukkah. Before I learned about the Jewish roots of my Christian faith, I didn’t realize it, but the events that precipitated the first Chanukkah, two hundred years before Yeshua was born, made Yeshua’s life and ministry possible. If Judah Maccabee hadn’t recaptured the Temple and reinstated the Levitical worship service in God’s holy house, if Antiochus Epiphanes had succeeded in stamping out Judaism and turning Judea into just another Hellenized colony, Yeshua never would have been born to observant Jewish parents as the perfect Lamb of God. While God’s plan is beyond our ability to thwart or even to comprehend, it would be accurate to say in human terms that without Chanukkah, neither Christianity nor Messianic Judaism would have ever existed. This fact should cause us to reconsider our historic dismissal of this ancient Jewish holiday. It should inspire some respect for the pious Jewish people who gave their lives to defend the Jewish way of life. For many Christians, myself included, this realization has inspired attempts to connect with and practice this venerable holiday—even if we’re not Jewish. 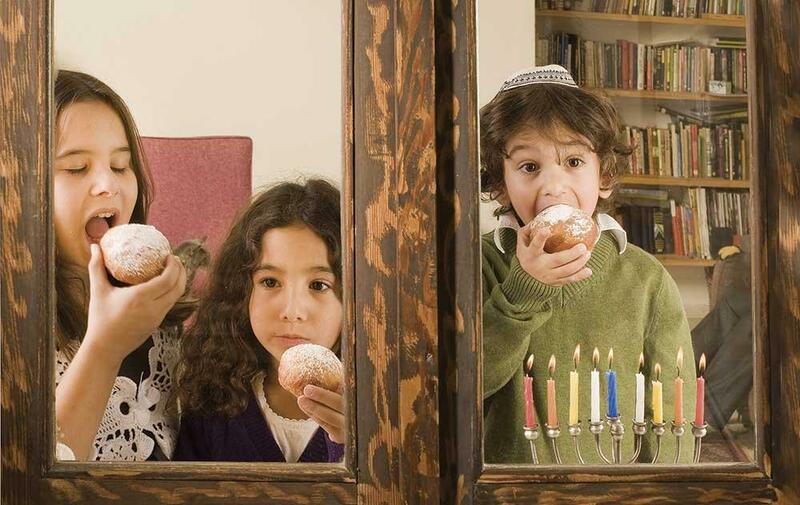 Since we have benefited so greatly from the events of the first Chanukkah, we have taken steps to appropriate its customs into our lives—being respectful, of course, of the fact that they are not originally our customs, and that we don’t really have the right to dictate what Chanukkah looks like for anyone else. Should non-Jewish Christians Celebrate Chanukkah? 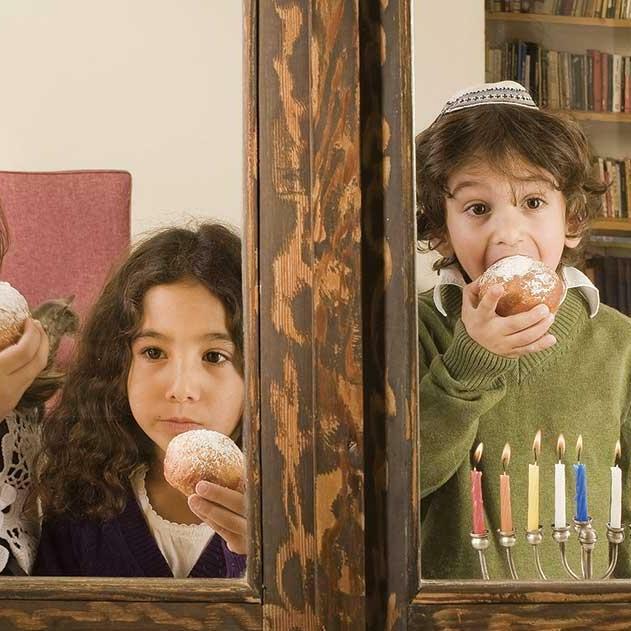 Some Christians object to the celebration of Chanukkah by non-Jews. I was once denied rental of a church facility for a one-day Chanukkah celebration on the grounds that it would have distracted people from Christmas. Is this the case? Does the eight-day festival overshadow the humble midnight Mass, the Christmas dinner, the Sundays of Advent? Humor columnist Dave Barry once joked that after Halloween, Christmas decorations begin popping up and Christmas music starts coming on the radio in ever greater frequency until the big holiday comes—that is, Thanksgiving. His comic exaggeration rings true; it is next to impossible to outshine Christmas in America. Families, children, and even business owners look forward to it all year. In fact, in a sadly ironic development, the economic juggernaut of Christmas gift-buying has done more than anything else could to diminish the religious significance of the once-holy holiday in the minds of millions of Americans. But when properly understood, Chanukkah doesn’t detract from a Christian family’s focus on Yeshua during the Advent season. Rather, my family has found the opposite to be true. Though Chanukkah’s origins date to a time long before Yeshua walked the earth, its celebration is a reflection of the same religious culture that shaped our Master’s own life. Others—even many Messianic Jews—object to Christian Chanukkah celebrations because they appear to detract from the essentially Jewish nature of the holiday. After all, what sense does it make for a bunch of non-Jews to celebrate a Jewish holiday? If large numbers of non-Jews begin acting Jewish, then being Jewish is no longer unique or special. And besides, the Jewish people came up with the whole idea; shouldn’t they be allowed to keep their own holiday? After all, devout Christians are none too pleased to see Christmas usurped by the secular culture as some kind of generic winter holiday. I will be the first to admit that Chanukkah is a Jewish holiday. And for those who don’t understand the significance of Chanukkah, it may well be inappropriate to join in the festivities. Celebrating Chanukkah without reference to the uniquely Jewish nature of the holiday, or without being in tune with its major themes of rededication and holiness, is just taking advantage of an opportunity to throw a party and eat a lot of fried food. However, I do think there are some significant reasons for Christians to consider integrating a bit of Chanukkah into their religious life. First, Chanukkah is a great opportunity to learn about the history of the Jewish people and their relationship to God and to the Torah. The story of Chanukkah illustrates the difficulty of Jewish life in a Gentile-dominated culture; Western Christians are long overdue in developing an understanding of this age-old predicament. 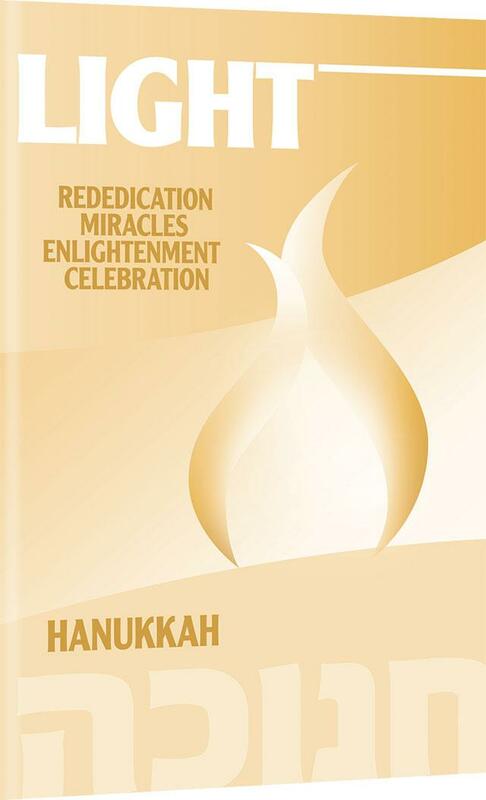 In another article in this issue (“Winter in Jerusalem”), we relate how our Master celebrated Chanukkah. As disciples, we can learn much about our Master, his life, his priorities, and his religious practice by following in his footsteps—in a way, of course, that is respectful to Jewish traditions and sensibilities. Finally, the major themes of Chanukkah—rededication and holiness—are badly needed reminders in the Christian world, in which it is common for families to prioritize secular activities above religious functions. The Christian world could greatly benefit from something similar to the message of the Maccabees—a call to come out of the gymnasium and back into the place of Bible study, to truly dedicate and commit their lives to the God who saved them. The examples of those Jews who died to preserve their traditional and God-ordained form of worship can inspire Christians who today struggle to preserve a sense of holiness in a culture of overindulgence, sensuality, and commercialism. Through this ancient prayer, we express our thanks to God for having given us another year to live since the last Chanukkah. In addition, we thank God for using the events of Chanukkah to keep the Jewish people alive so that they could continue to shine his light to the rest of the world. Finally, we thank God for the eternal sustaining light and life that comes through the Messiah, Yeshua, for “the Son is the radiance of God’s glory and the exact representation of his being, sustaining all things by his powerful word” (Hebrews 1:3, NIV). After the Chanukkah candles are lit, we have family time together. We often eat a special meal of traditional Chanukkah foods like latkes. We enjoy games like dreidel with our young children, playing the odds with our gelt (foil-wrapped coin-shaped chocolates). Often, we invite other families over to enjoy dinner together. We have found this to be a great way to show other Christians a little bit of what Chanukkah is all about. Our family enjoys taking some time out for delicious food and fun activities. But most important of all, each Chanukkah we take time together as a family to reflect on the history of Chanukkah and the lessons we can learn from the Maccabean revolt. You probably already know the basic story of Chanukkah—and if you don’t, you can find it in D. Thomas Lancaster’s article, “The Story of Chanukkah,” on page 25 of Messiah Magazine, Vol 2, Issue 1. So you know that the Maccabees were a small army of Jews practicing guerilla warfare in the mountains of Judaea. But why is this a religious holiday? If we aren’t Jewish, why celebrate a military victory for a nation that isn’t our own? The sages of ancient Judaism debated whether or not to include Chanukkah as an official holiday. It doesn’t appear in the second-century Mishnah at all. However, the religious leaders of the Jewish people came to see great value in the celebration of Chanukkah. No doubt they perceived that the struggle of the Maccabees against the threat of assimilation and the loss of their distinctiveness as Jews was iconic for the struggle of Jewish people throughout the ages who have been pressured to give up the Torah and the unique traditions which make them a holy, called-out people. Just like the Maccabees, the Jewish people today are in a battle. They are caught between two voices. On one side are Moses and the ancient sages, who call for continued fidelity to the covenant God made with the Jewish people on Mount Sinai. On the other side are the pleasures and temptations of this world, flaunted by a godless, shameless culture. Many of the children of Israel have, sadly, thrown off the yoke of the Torah and embraced secular Western culture with its tendency toward promiscuity and sensuality. Not coincidentally, Christians today face a similar struggle. On one side, the apostles urge them to a holy life, thrice-daily prayers, sexual purity, and the prioritization of others over oneself. On the other side, the enemy dangles temptations in every shape and size, attempting to keep the children of God feeling constantly defeated in an endless struggle to maintain their purity and distinctiveness. The bright, shining lights of Chanukkah remind the Jewish people today that pious men and women were willing to lay down their lives in order to maintain their covenant fidelity to God and consequently to maintain their distinctiveness as Jews. They are also a reminder that God miraculously provided for those who chose to risk everything in order to live lives of obedience to God. Similarly, the lights of the chanukkiah can remind Christians that God continues to provide for those who choose to follow God rather than indulge in the sinful pleasures of this world. Most of us don’t have to risk our lives as the Maccabees did. However, we still have to pay a price for our dedication to God as we leave behind the forbidden things after which we used to lust. Furthermore, taking a stand for what the Bible teaches can result in social stigmatization, or worse. In other countries, outside of the free democracies of Western civilization, the price one pays for becoming a Christian may be even higher. Just like the Jews who were murdered by Antiochus in the days of the Maccabees, saints in many parts of the world risk life and limb just to maintain their faith in the God of Israel. Chanukkah is a Jewish holiday. Yet it has something to offer non-Jewish believers in Yeshua as well. The Chanukkah lights remind us of the powerful light God shined into the world through Yeshua, as well as our own responsibility to shine that light in our daily life. Not only that, but Chanukkah, celebrated respectfully and with reverence toward Jewish tradition and practice, is a reminder to Christians of their relationship with the Jewish people through the Master, Yeshua, a devout Jew. Finally, Chanukkah teaches all of us about the importance of dedication, holiness, and standing up for what you believe in. The self-sacrifice of the Maccabean warriors can inspire all of us today who fight our own battles against secularism, cynicism, and a society marred by sin. Just as they were then, the stakes are high for all of us who choose a life of piety and holiness. For these reasons, Chanukkah is appropriate for all disciples of Yeshua. Christians should have no quarrel with their brothers and sisters who choose to light the Chanukkah candles. Likewise, believers who embrace our Jewish roots should have no quarrel with Christians who prefer traditional Christian observances. We only hurt ourselves when we try to blow out each other’s candles. Rather, like the candles of the chanukkiah, we bear witness to the truth in a powerful, quiet way by living out our principles with humility and compassion. By standing in solidarity with those who share our faith in Yeshua, we all shine together, though our lights may not all look exactly the same. This season, may we all be inspired to rededicate ourselves to the service of our Master. Adapted from: Messiah Magazine Vol 2, Issue 1, written by Jacob Fronczak.